Good morning! Here’s your weekly dose of linkage. Please remember that linking does not equal endorsement, and that some links may have disturbing content. If we’ve missed anything, please share in the comments! 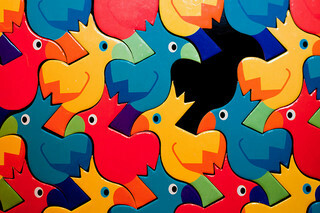 Image shows a tessellated bird pattern, used under a Creative Commons licence thanks to Sharon Drummond. Write ups of Saturday’s Feminism in London conference – 850 people attended!